SOUTHAMPTON, NY (June 15, 2018) - Four years ago at the 114th U.S. Open at Pinehurst No. 2, Will Grimmer was a 17-year-old high schooler and the youngest player in the field. He was admittedly in awe of being around the best players in the world and missed the cut. 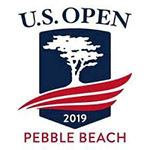 Now, as a 21-year-old who just finished his junior year at Ohio State University, Grimmer is taking full advantage of his second U.S. Open appearance. He shot a second-round 72 to go with his first-round 73 to stand at 145, 5 over par, the best showing so far among the 20 amateurs in the field. Grimmer, a communications major, earned his berth in the U.S. Open by first making it through local qualifying in his hometown of Cincinnati and then earning medalist honors in 36-hole sectional qualifying in Springfield, Ohio. The key to his fine play so far at Shinnecock? He has avoided the big numbers, making no worse than bogey through 36 holes. Several of the world’s top players, including Rory McIlroy, Tiger Woods and Jordan Spieth, would gladly trade places with the young Buckeye. Want to know to how to make the cut at a major championship? Make nearly 200 feet worth of putts. At one point, he was also +2.53 in strokes gained putting which was in the top-5 in the field.